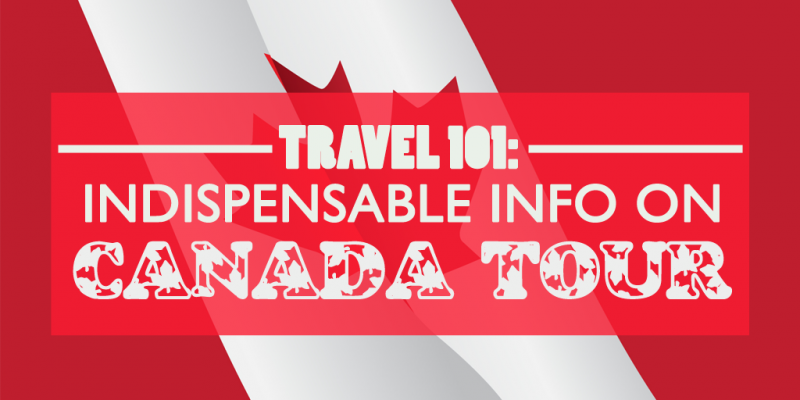 Are you flying to Canada for a vacation or a city tour? If yes, then you must know some common knowledge based in that country. There are things which are treated differently in Canada. There are situations that are addressed from their point of view. As people, they have certain traits that are rooted from their belief as a nation. You should be aware of these to have a smooth travel and to avoid small misunderstanding just because of ignorance. This will keep you from any harm along the way. Travelling across any country is never easy but always enjoyable. And to avoid any hassles in your travel, be careful to observe their standards. So as a tourist, you should abide on how they rule their day in their ethics, etiquette, and standards. Start with these common 5 standards and etiquette. Do not be shocked when you have to pay a different amount from what is reflected on the price tag. There is an amount added to your purchase. That is actually GST and PST (or HST). It is added when you reached the cash register at the counter. For restaurants, they have their choice whether to add the tax in their menu list or not. But most of them prefer adding the GST at the bill out of the customer. Expect a different amount at the cashier. It is seldom to find a Canadian restaurant that includes gratuities in your bill. This is why they personally give their tip. Their standard tip is approximately 15% on the total bill before tax. But since tipping is on your personal conviction and satisfaction, you can have your choice. If yours is to give only 10%, then just personally give 10%. Give your personal tip. Using your cellular phones in Canadian movie cinemas or theater event makes the patrons and performers frown at it sound in voice or texting. Frequently before a movie or a performance will start, you have to turn off your phone. If ever you are expecting a contact with your phone, turn it to silent mode. When answering you phone, be quick to excuse yourself with “I am sorry…” and immediately leaving the area during your call. Make sure to quickly answer the call and leave the place to avoid disturbing other people in their leisure time. Be considerate to people around you. Always keep your safety in mind. Take sensible precautions to avoid petty crimes. Never leave your bags and luggage unattended. You can also twist ties to secure them. This will significantly add difficulty for thieves to get in them and steal. Do not get up so much like a tourist. Thieves commonly target tourists and tourist hotels. Make sure to keep your valuables in the safest place. Always secure copies of your important documents with family and friends for any loss during your travel. Travelling the world means you need a place to stay wherever you go. And if you cannot afford hostels and hotels are just too much for your budget, an apartment is your perfect option in your rental. This will give a much quieter and relaxing place to couch in. Another thing, you have all the freedom to cook your own meal which will give you more saving in your trip. Try to book an apartment before you fly to Canada. You can visit online sites to look for a place to stay in Canada. This will lessen your worries once you get off on their airport. There you go! Just five of the most common things you should know. These might be simple but unfortunately always forgotten by tourists. Try these and you will see how you will gain people’s trust and enjoy your vacation. Being a writer, Nile commonly addresses topics that motivate, correct and educate an audience. His journey as a writer started during grade school when he had been a part of his school's publication. Other avenues of art like drawing, painting, singing, playing guitar and writing songs are also a portion of his profoundness. He is now treading the journey of being a motivational writer in the area of Christianity and piety. Is Miracle Berry A Real Life Miracle For Weight Loss?